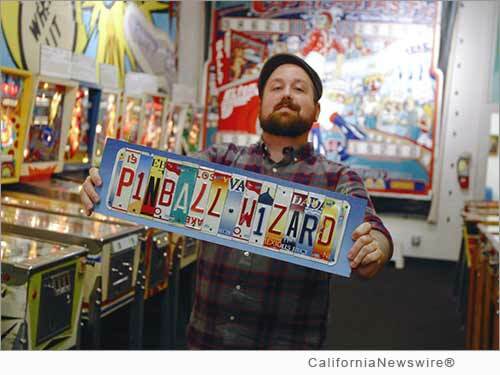 ALAMEDA, Calif. /California Newswire/ — The Pacific Pinball Museum (PPC) today announced that the body that ranks the world's best pinball players, the International Flipper Pinball Association (IFPA), is coordinating the second annual State Championship Series finale, a competition held simultaneously across 33 different states on Saturday, Feb. 7, 2015. This year's competition in California will be held at the Pacific Pinball Museum (PPM) from 1 to 5 p.m. at 1510 Webster St. in the San Francisco Bay Area's charming island city of Alameda. According to the IFPA press release, "After a year of grueling competitions, with more than 1,000 tournaments staged from coast to coast and more than 6,600 players putting their flipper skills and endurance to the test, it all comes down to a single day for 514 of America's finest pinball wizards." Qualifying for the event is based on tracking the performance of players in all IFPA-endorsed tournaments on a state-by-state basis throughout the year. These top players then compete in one location for the honor of representing their states in the national championships held on Thursday, March 26, at the Pinball Hall of Fame in Las Vegas, Nev.
"The IFPA has fostered the resurgence of pinball through competition, and we are proud to support their efforts by hosting the State Championship," says Jeannie Rodriguez, manager of the PPM. "Seeing these pinball players competing at the highest skill level raises awareness that some of the best players in the world are right here in California, and encourages our patrons to increase their own skills." In California, 85 IFPA-sanctioned tournaments were held with 822 participants. Of the 16 players who will participate in the state championship, 13 hail from Northern California and 3 are from Southern California. Four of the 16 are ranked among the top 50 players in the world, while three players are representing other countries: Damien Charlety (France), Per Schwarzenberger (Sweden) and Andreas Haugstrup Pedersen (Denmark). To accommodate California's large and geographically diverse player base, the Championship alternates between Northern California and Southern California each year. Last year, the inaugural Championship took place in Riverside, with Co-State Representative Jim Belsito from Southern California directing the show. This year, Charlety, a French player residing in Sacramento, will coordinate the event at the Pacific Pinball Museum. "The PPM offers a wide variety of game options and a neutral site for players from local leagues," says Charlety. "This will allow the Championship to be a test of skills without 'home field advantage.' The PPM and its mission help keep pinball vibrant and an event such as this will allow competitive pinball to showcase its best in the best of settings." More information from IFPA can be found here: http://www.ifpapinball.com/scs. The Pacific Pinball Museum is a 501(c)(3) nonprofit dedicated to teaching art, science and history through pinball, and to preserve and promote this important part of American culture. The interactive museum showcases 100 pinball machines ranging from 1898 to today, hand-painted murals of pinball backglass art, and exhibits utilizing pinball technology to demonstrate science principles. To find out more about the PPM, contact Jeannie Rodriguez, 510-769-1349, jrodriguez@pacificpinball.org, or visit our website: http://www.pacificpinball.org/ .